Client was charged with Forgery (a class D felony) and was facing up to five years in prison. Attorney Goldensoph successfully negotiated a plea agreement in which the client pled guilty to theft in the fifth degree (a simple misdemeanor) and was placed on unsupervised probation for 1 year. Client charged with Murder in the First Degree, Attempted Murder, and Intimidation with Dangerous Weapon, after two weeks of trial and 4 days of deliberation. Mr. Goldensoph convinced a jury that the client was not guilty on all three counts. Read the full article here. Client was charged with Robbery in the 1st degree (a class B felony that carries a stiff 25-year-prison sentence of which at least 17 ½ is REQUIRED before someone is eligible for parole), Intimidation with a Weapon (a class C felony that carries a 10 year prison sentence), Extortion, and Assault While Participating in a Felony (both Class D felonies which carry a 5 year prison sentence each) and Assault While Displaying a Dangerous weapon (an aggravated misdemeanor that carries a 2-year prison sentence). All told, the client was facing 47 years in prison with a mandatory minimum sentence of 17 ½ years. Attorney Goldensoph effectively dismantled the state’s case against the client and the state dismissed all charges against the client. Client was charged with OWI 1st. Because of Attorney Goldensoph’s skillful application of the Iowa Rules of Criminal Procedure, the charge was dismissed. The state will have to pay the court costs. Client was charged with Forgery in one case and Third Possession of Methamphetamine in his other case. Because of the client’s criminal history, the client was facing a cumulative sentence of 30 years in prison with a cumulative mandatory minimum sentence of 6 years in prison. Because of Attorney Goldensoph’s skillful negotiations and dogged persistence, the client plead guilty to two misdemeanors for a jail sentence of time served (any time that he had already served in jail satisfied the sentence). Client was charged with Assault Causing Bodily Injury. Attorney Goldensoph doggedly investigated this case and demonstrated to the state that the alleged victim was clearly lying. Ultimately, the state dismissed the case and they paid the court costs. Client was charged with Carrying Weapons. Because of Attorney Goldensoph’s perseverance, the state dismissed the client’s charges and paid the court costs. Client was charged with disorderly conduct. The case proceeded to a non-jury trial and Attorney Goldensoph convinced the judge that the state’s case was so bad that the defense didn’t even need to present any evidence. The court just dismissed it after the state presented their evidence. The client didn’t even have to pay court costs. Client was charged with intimidation with a dangerous weapon, going armed with intent, felon in possession of a firearm, harassment in the first degree, and carrying weapons. The client faced up to 26 years in prison. Because of Attorney Goldensoph’s skillful lawyering, all of the charges were dismissed against the client and the state paid court costs. Client was charge with possession of marijuana. Attorney Goldensoph successfully argued that the case should be dismissed and the state had to pay the court costs. Cory has an accomplished background in criminal law. His professionalism and dedication to cases are indicative of the defense that he provides. You and your family deserve a dedicated lawyer who will listen to you while assessing all the details of your case. Whether you’re going through a divorce, attempting to adjust child support, or are arranging a custody situation, you’ll receive experienced legal services when you work with Cory Goldensoph PC. If your rights are at stake, turn to an experienced criminal defense attorney. As a lawyer who’s been representing clients in Cedar Rapids, Tama, Waterloo, and Anamosa, Cory has the experience required for taking on the legal process. No matter what legal issues you’re facing, you can count on Cory to listen to your concerns and treat your case with true professionalism and respect. Call Cory today at 319-364-5525 to discuss your legal situation. You shouldn’t go into your drug crime case blind. If you’re facing drug charges, you deserve to be represented by an experienced criminal defense attorney that has extensive knowledge of the Iowa court system. Cory Goldensoph has experience with various kinds of drug crime cases and has had his own practice since 2003. Let him represent you today. When you’re facing criminal charges and you feel like the odds are stacked against you, it’s important to have an attorney in your corner who knows what to expect from the prosecution. Criminal charges are too stressful and scary to face without an experienced attorney. Cory Goldensoph is an attorney who will do everything he can to convey your story to the jury through questions and solid arguments. Speak with him today regarding the charges you’re facing. Were you recently charged with a drug crime? Get help from an experienced attorney in the Cedar Rapids and Iowa City area. At Cory Goldensoph PC, you’ll work with a lawyer that’s been practicing drug crime law since 2002. Whether your charges include possession with intent to deliver, the delivery of substances or the manufacturing of illegal drugs, you’ll receive professional legal representation when you call Cory. Due to the fact that drug crime can cover a wide range of offenses, and because every case is different, you’ll want someone who knows the law and has experience within drug crime law. Let Cory Goldensoph provide you with legal counsel throughout your drug crime case. For a more comprehensive idea of what drug crime covers, see below. When it comes to your criminal defense case, ensure you choose an attorney who has the experience and knowledge it takes to tackle the criminal justice system. 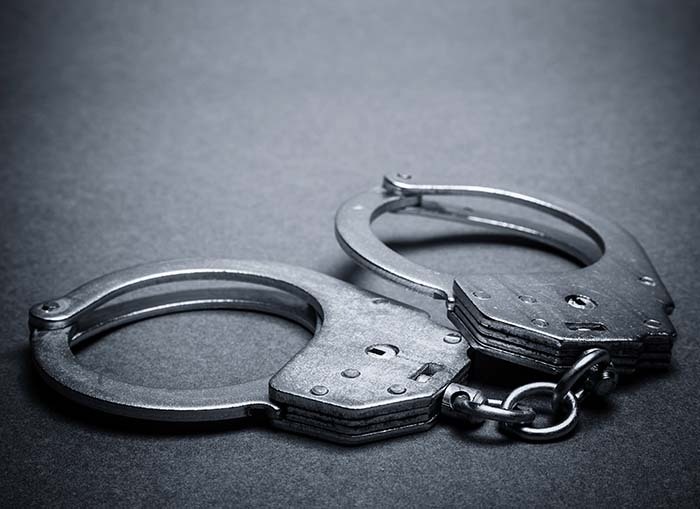 As a lawyer who takes federal criminal defense cases, Cory can assist you if you’re ever considered a witness or potential suspect, in addition to individuals charged with a federal crime. As an attorney who focuses on listening to his clients instead of talking at them, Cory will do everything he can to represent you well during your family law, DUI, or criminal case. Get in touch with him today regarding your case. Finding an attorney who will provide you with strong OWI representation can be tricky. When it comes to keeping your record clean and getting back on the road, you’ll feel better knowing the professional team at Cory Goldensoph PC is behind you. To discuss the OWI charges you’re facing, call Cory today. As a criminal defense attorney since 2002, Cory will do everything he can to accurately represent you throughout your case. It’s important to remember that If you are charged with an OWI in the Cedar Rapids, Iowa City, and surrounding areas you are presumed innocent until proven guilty. Every drug crime case is different, but having Cory represent you means you’ll work with an attorney who will do everything he can to reduce your sentencing. In some instances, negotiations can be made with prosecutors before the case ever goes to trial. Depending on the details of your case, Cory may be able to present pre-trial motions to exclude evidence, testimony, or a personal confession. In some drug crime cases, the case itself can be dismissed. In the event that your case goes to trial, Cory will represent you throughout the process, which includes providing evidence in your defense. During your time with him, Cory will help you understand the strong parts of your case that should be mentioned and the weak points in your case so you can make well-informed decisions. Depending on the charges, deferred judgment may be possible. Assault – An act intended to cause pain or injury or intended to result in physical contact causing injury to another. Burglary – Unlawful entry into a building or location with the intent to commit a crime. Driving Infractions – Operating a motor vehicle in a dangerous/careless manner. Drug Charges – Trafficking, possession of drugs and/or drug paraphernalia. Gun Crimes – Criminal offenses committed with the use of a firearm. Murder/Manslaughter -The unlawful killing of another human being. OWI/DUIs – Operating a motor vehicle while intoxicated. Robbery – Direct taking of one’s property through force, threat, or intimidation. Theft – Wrongfully obtaining and using someone else’s personal data or property in a way that involves fraud or deception. White Collar Crime – Fraud committed by business or governmental professionals. The segments below are a cross-section of some of Cory Goldenspoph’s cases. The client was charged with Theft 3rd which is an aggravated misdemeanor (one step below felonies). Through negotiations, Attorney Goldensoph was able to convince the prosecutor to let his client plead guilty to a simple misdemeanor for a deferred judgement which means that this matter can be expunged from his record in a year. Client was facing a sentence in federal court of 18-24 months in prison for being an unlawful user of controlled substances while in possession of a firearm. Attorney Goldensoph was successful in arguing that the client should be placed on probation instead. This sentence was granted by a particularly harsh judge who is not known for her leniency. Defendant plead guilty to possession with the intent to distribute marijuana. At sentencing the state argued that the client should be sent to prison. Attorney Goldensoph successfully argued that the client should be granted a deferred judgment. Though the client will have to be on probation for a period of time, if he successfully completes his probation, this charge will ultimately be expunged from his record. Client was charged with Theft 2, a class D felony. Using investigation techniques, Attorney Goldensoph was able to prove to the state that they did not have enough evidence to find the client guilty and as a result, the state dismissed the charges. After the state concluded its case Attorney Goldensoph convinced the court that it’s evidence was so weak that the court should dismiss it without presenting it to the jury. As a result, the only charges presented to the jury were the two counts of assault of which the jury acquitted the client in 45 minutes. Because of Mr. Goldensoph’s effective representation, the jury acquitted client of both counts. Attorney Goldensoph convinced the state they did not have enough evidence to pursue charges. The State moved to dismiss the case and the Court granted the motion. After a trial, Mr Goldensoph secured a not guilty verdict. Attorney Goldensoph successfully argued motions making it ultimately impossible for the State to pursue charges against his client. The Court had no choice but to dismiss the case. Through a motion to suppress, Mr. Goldensoph was able to successfully argue that the prosecutor should not be able to present statements made by the defendant at trial because those statements were obtained in violation of client’s Miranda rights. After several days of trial, Mr. Goldensoph convinced a jury that a gun was not used and as a result, client was only found guilty of robbery in the second degree thus saving him from facing an additional 15 years in prison. Mr. Goldensoph convinced the jury that client was not guilty of these charges. Attorney Goldensoph was able to get the charge completely dismissed. Client was charged with assault on a police officer. Attorney Goldensoph convinced the county attorney to allow his client to plead guilty to a simple misdemeanor charge for a deferred judgment. As long as the client successfully completes the self-supervised probation, this matter will be expunged from his record. Despite the fact that DUIs and OWIs are common, they are charges that cause some serious ramifications for the accused. DUIs and OWIs are embarrassing, they put your job and reputation at risk. They also affect your finances and freedom. That’s why you need an experienced, non-judgmental attorney who specializes in OWI law. Keep in mind that while they’re quite common, DUI charges can be quite impactful. Penalties may include but are not limited to, driving suspension or revocation, fines, a mark on your public record, and jail time. Regardless of your blood alcohol content at the time and the charges you’re facing, it’s important to call an attorney right away. When it comes to your case, no doubt you have questions. If you find yourself being questioned about a criminal case or facing charges, you deserve accurate representation. At Cory Goldensoph PC, you’ll work with a dedicated attorney that’s been representing people in the Cedar Rapids area since 2002. Call Cory today at 319-364-5525 to schedule your initial consultation. In the meantime, if you still have questions, please take a look at some of the most popular legal questions asked. What does “deferred judgment” mean? A deferred judgment is a way for someone to keep their record clean. 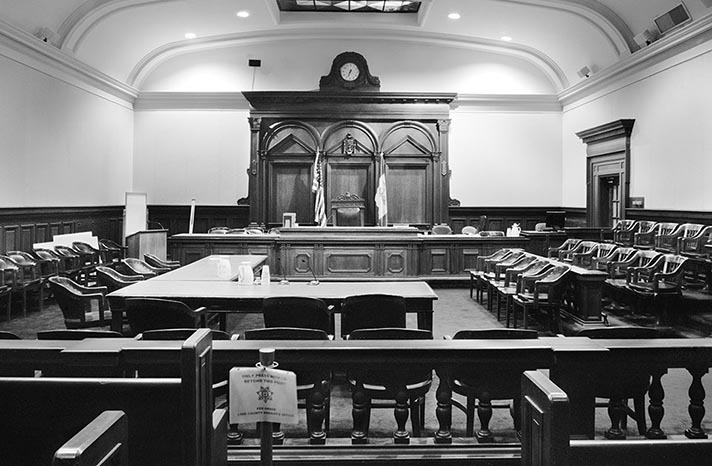 When someone is either found guilty or pleads guilty to a crime, a judge can defer or delay judgment. The judge will then place that person on probation. As long as that person successfully completes the probation, the crime will be removed from his or her record. A person can only use two deferred judgments in their lifetime. Crimes in Iowa are separated into two categories: misdemeanors and felonies. *Serious Misdemeanors: You can be sentenced up to 1 year in jail; Fine between $315 and $1,875. *Aggravated Misdemeanors: You can be sentenced up to 2 years in prison; Fine between $625 and $6,250. 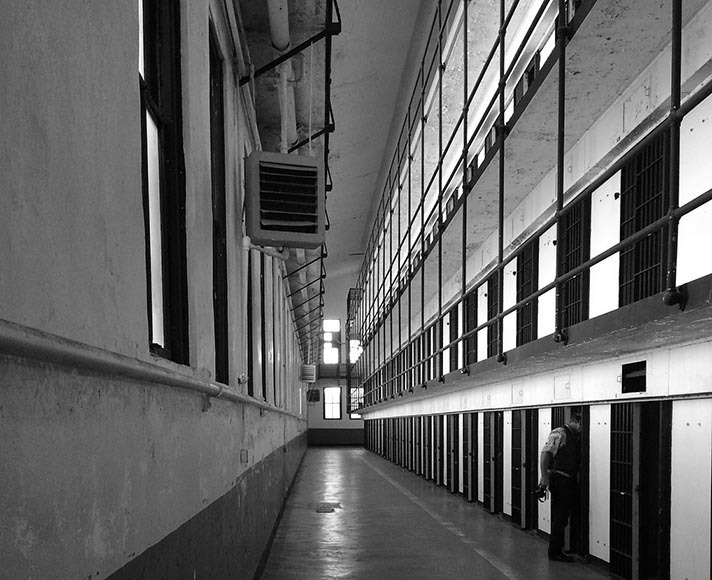 Class B Felonies: You can be sentenced up to 25 years in prison; there is no fine. Class A Felonies: You will be sentenced to life in prison; there is no fine. If a police officer makes a mistake on my case, can my case or charges be dismissed? The short answer is: possibly. Though this is relatively rare, there are occasions when an officer will make a mistake that violates someone’s right. In those instances, charges are ultimately dismissed. It takes an experienced attorney to identify these situations and exploit them. A simple misdemeanor will generally be done in about 2 months. For more serious crimes, the timeframe jumps to about 4 to 6 months. Some cases can last much longer than this, though. More often than not, the more serious the case, the longer it will take to navigate the legal system. The good news is that, in any situation, it’s always a good idea to prepare for trial. I wasn’t read my Miranda rights when I was arrested, shouldn’t my charges be invalid? No. The police are only required to read you your Miranda rights under certain circumstances. The first is if you are in custody (and “in custody” is defined in a lot of different ways. You will need an attorney to help you decide if you were in custody). The second is when a state actor, such as a police officer, is questioning you. If you are not in custody and an officer starts asking you questions, the officer does not need to give you the Miranda warning. If you are in custody and the officer is not questioning you, the officer does not need to give you the Miranda warning. If you are in custody and an officer wants to ask you questions, he or she must give you your Miranda warning first. 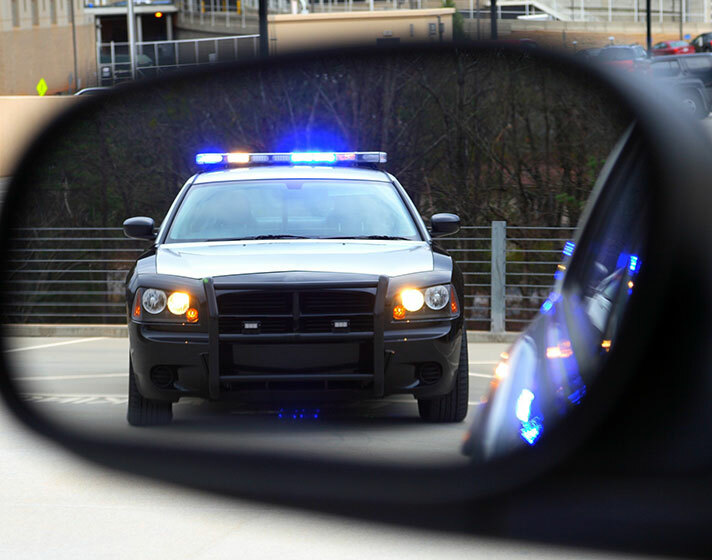 If the officer does not give you your Miranda warning, then any statements that you make in response to the officer’s questions cannot be used against you. Your charges will not be dismissed, however. I’m being suspected for a case, should I talk to the police if they want to talk to me? No. You have a Fifth Amendment right to remain silent and you should exercise that right. If the police want to talk to you about a crime, chances are they have already concluded that you are guilty of that crime. You will NOT be able to talk yourself out of being charged so talking to the cops can ONLY serve to hurt your chances with a future case. Why should I choose Cory to represent me? Cory is an experienced lawyer and has been practicing law on his own since 2003, which means he has the knowledge necessary to navigate the legal system. Additionally, Cory is known for his ability to be a good listener. These abilities combined with his willingness to assist his clients in any way he can, makes for an excellent combination. If you need representation in your divorce, DUI, or criminal law case, be sure to give Cory a call. If you find yourself facing a divorce or needing custody terms, turn to Cory Goldensoph PC. As an attorney with experience in family law since 2002, Cory has established a positive reputation by being a good listener. He will also do everything he can to represent you throughout the life of your case. As a husband and father, Cory understands that family matters are delicate. When emotions run high in the courtroom or in the office, Cory will remain calm and cool-headed, ensuring you’re well represented. If you need assistance with your family law case, call Cory today to set up your initial consultation: 319-364-5525. Are you concerned you won’t find solutions to your legal matters that involve family? Take some time to speak to Cory Goldensoph before you walk into court alone. Cory has been practicing law since 2002, which means he has the knowledge and experience it takes to navigate the Iowa legal system. Give him a call today to discuss your family law needs. Changes in your home dynamic can be difficult to adjust to. That’s why Cory Goldensoph assists with all aspects of family law. 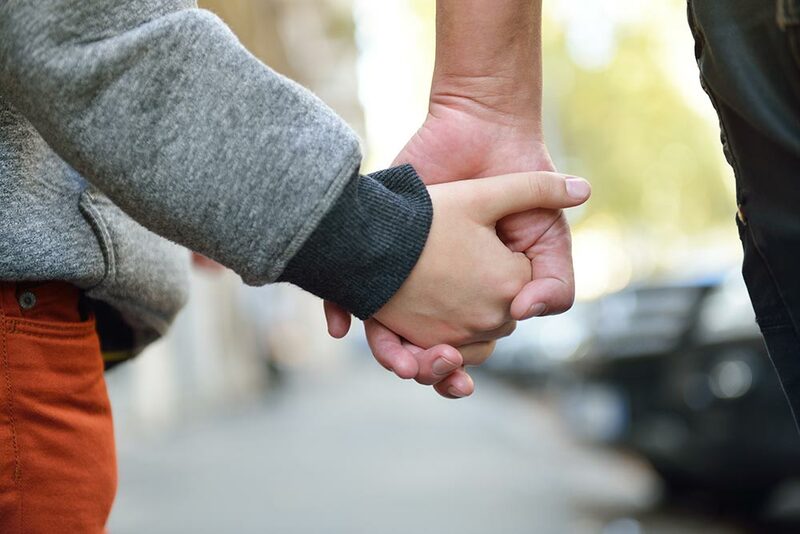 Be sure to establish child custody, visitation, or premarital agreements that are best for you and your family. Call Cory today at 319-364-5525 to discuss your family’s needs. Cory is a native Iowan and grew up in a family that values hard work and determination. To this day, these values guide him in his legal practices. 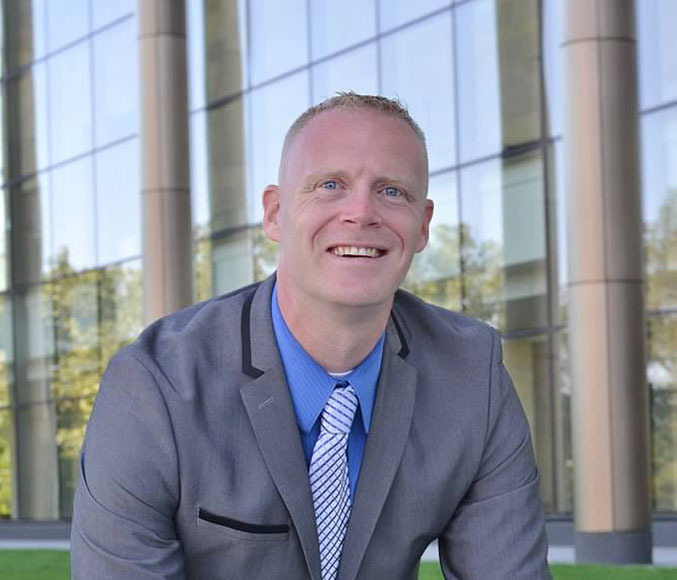 After he graduated from law school, Cory briefly worked for another attorney in the Cedar Rapids area before establishing his own practice in March of 2003. In addition to his regular law practice, since February or 2008, Cory has served as the defense attorney for the Linn County Drug Court. Cory Lives in Cedar Rapids with his wife and two children. When he’s not with clients, he enjoys running, working out, and performing in local theater productions. Whether you need assistance with your family law case or are facing DUI charges, be sure to call Cory Goldensoph. Cory has been practicing law in the Cedar Rapids area since 2002 and focuses on listening to your concerns. Get in touch with him today regarding your legal concerns.